Keep your hot side food equipment operating smoothly with our experienced technicians on call. Whether you’re looking to install a new commercial oven or repair a deep fryer, we’re ready to ensure that your commercial appliance is running at optimal performance. Enertia HVAC/R specializes in the repair, maintenance, and installation of commercial food service equipment. Our technicians provide our customers with superior service so that you can focus on your day-to-day operations and not worry about kitchen equipment failure. When it comes to running a restaurant or food service venue, reliability is critical to maintain business operations with minimal downtime. As a full-service hot side specialist, you can rely on our technicians for any commercial food service equipment installation or repair that you may need. We employ an experienced team that can work with any type of commercial kitchen equipment that comes their way. No matter if the job is small or big, we can help you with all of your food equipment service needs. Enertia provides services to businesses throughout Collin County and DFW Metroplex area – Plano, Dallas, Forth Worth and beyond. Food service equipment repair for the hot side of the line is very important. We have dedicated hot side technicians that are experienced at providing a thorough diagnosis and repair to get your equipment back up running ASAP. When it comes to the food service industry, you can’t afford to have critical cooking equipment down for even a couple hours or else it may negatively impact customer satisfaction and profits. Hotside equipment is something that requires techs with years of experience. If you’re in need of commercial kitchen equipment installation, or repair, contact Enertia HVAC/R today. At Enertia HVAC/R, we know the kitchen is the heart of the restaurant and food service business. That’s why you need a contractor that you can trust. 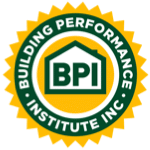 The last thing you need is costly repairs or even worse, equipment that is not dependable. Whether you are replacing an existing appliance or installing a whole new kitchen, we have the team in place that you can depend on to get the job done right. Our attention to detail and professionalism will ensure that your equipment is installed and maintained the right way, the first time. 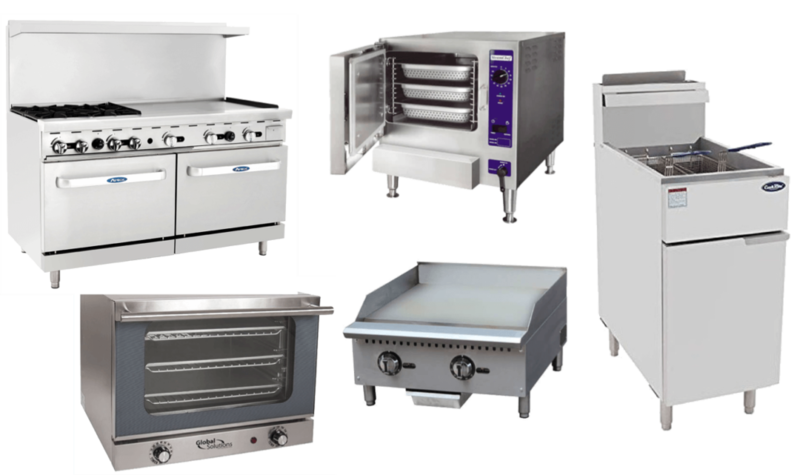 We can service all brands of commercial kitchen equipment – Frymaster, Hatco, Blodgett, Vulcan, Cleveland, Marshall and more. 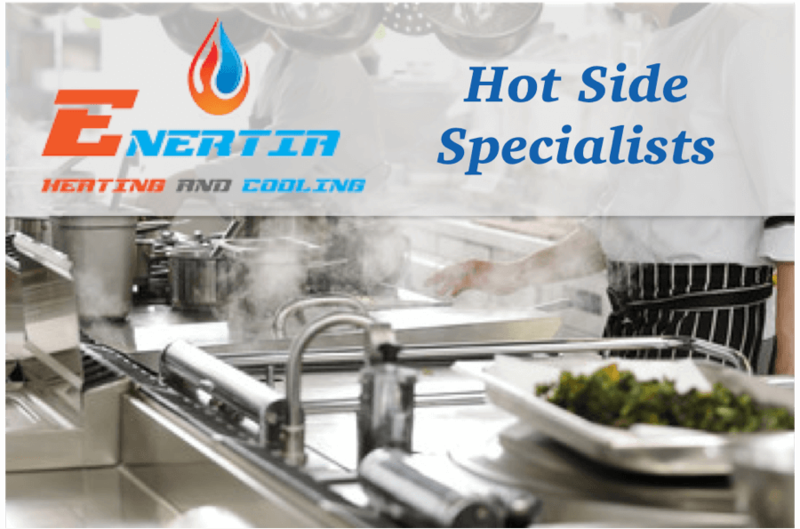 Enertia serves restaurants, fast food chains, convenience stores, schools, hospitals, office buildings, and all types of commercial clients with hot side equipment in the DFW Metroplex area.